If you like almonds, I have a wonderful almond bundt cake for your holiday entertaining! 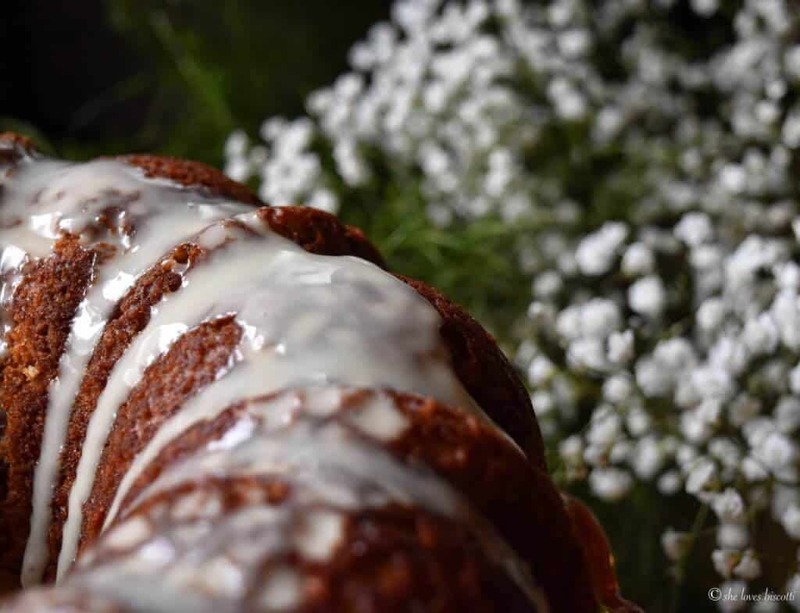 It’s an easy and quick bundt recipe that will provide you with a wonderfully moist, tender crumb and just the right amount of sweetness. 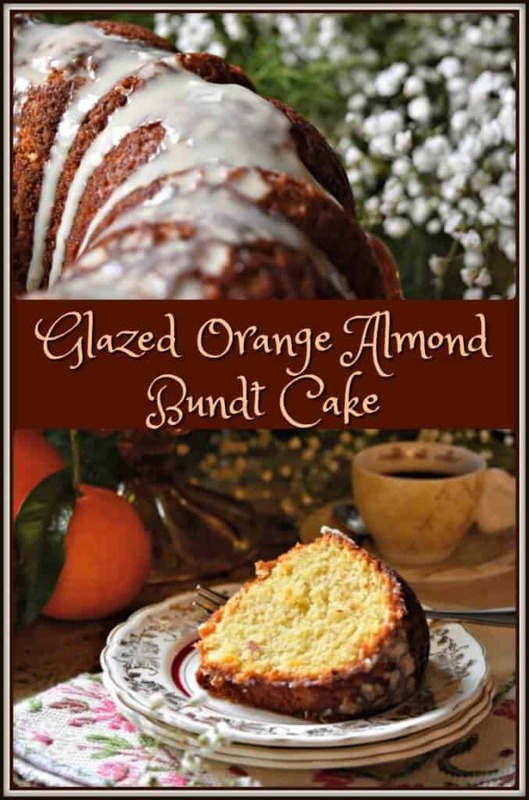 This Glazed Orange Almond Bundt Cake is sure to be a hit with all of your guests. I absolutely love baking with oranges, whether it is the juice, the fruit or the rind. Today, we will be using the entire orange. Any variety of oranges will work in this recipe. I had navel oranges on hand so that is what I used. I like to remove the outer peel of the orange with a vegetable peeler and then proceed to divide the orange in sections. In this manner, it is easier to remove as much as possible of the white pith of the orange. As you know, the white pith can sometimes be bitter. Then it is just a matter of pureeing the peel and the orange sections in a food processor. Make sure to remove any seeds before processing your orange. Once this step is complete, you just need to add the pureed orange to the rest of the wet ingredients and finally combine with the dry ingredients. You won’t believe the aroma which will permeate your entire kitchen! Once the cake has cooled, you can dust some icing sugar over the top or you can make a very simple orange glaze. I just love how easily bundt cakes come together. As a result, I am always on the look out for these kinds of recipes. I have adapted this one from Sally’s Baking Addiction. As usual, I made a couple of modifications: I replaced some of the flour with ground almonds; reduced the total amount of sugar; and replaced the butter with corn oil. Since I did not have any cake flour, I used all-purpose flour. The resulting Glazed Orange Almond Bundt Cake was still extremely soft and tender. As far as the icing is concerned, I cut the total amount by half. I think the next time I would only give it a dusting of icing sugar. 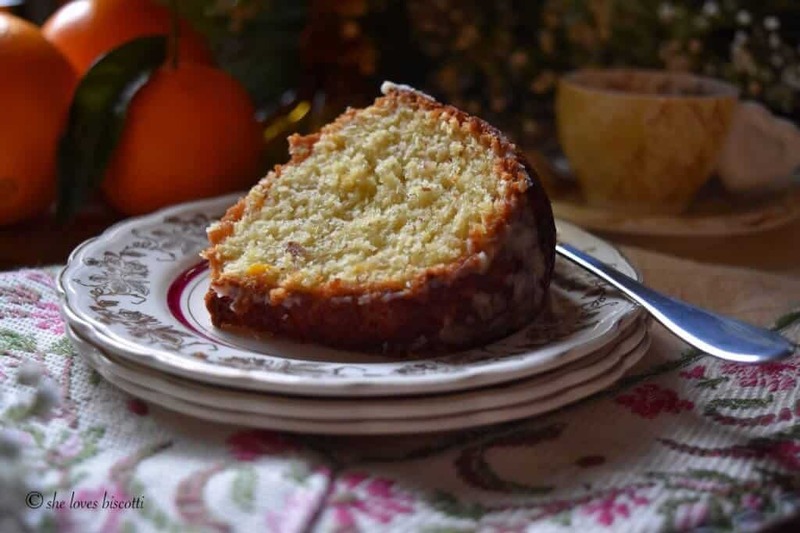 If you like almonds, I have a wonderful almond bundt cake for your holiday entertaining! It's an easy and quick bundt recipe that will provide you with a wonderfully moist, tender crumb and just the right amount of sweetness. 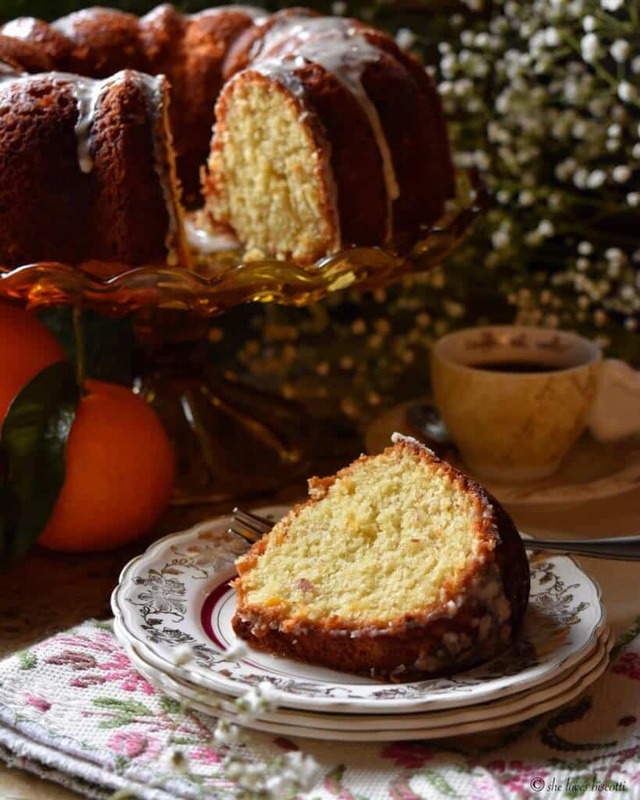 This Glazed Orange Almond Bundt Cake is sure to be a hit with all of your guests. In a medium bowl, sift together flour, baking powder, soda and salt. Add the ground almonds; whisk together. Set aside. Reduce speed and add oil, buttermilk and pureed orange. Add dry ingredients and beat only until combined. Bake in a 350℉ (175°C) oven for 45-55 minutes or until cake tester comes out dry. Remove from oven and allow to cool in the bundt pan for about 10 minutes. Invert cake on a wire rack and allow to cool completely before glazing. Remove the orange seeds (if any) before you puree the orange. 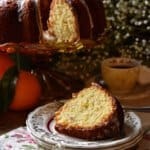 DO YOU LOVE THIS ALMOND BUNDT CAKE RECIPE? PIN IT TO YOUR BUNDT BOARD! Awesome looking cake! I love bundt cakes, because even the simplest cake recipe can be ‘turned’ into a bundt cake, and they just look super fancy! 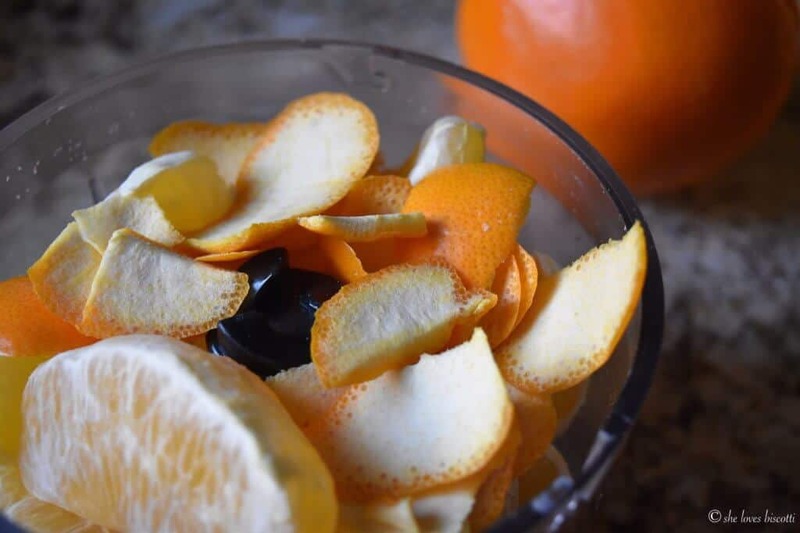 Great tip on using the pureed orange instead of just the juice to add more orange-y flavor! With Easter just around the corner, i’m gonna give this recipe a try for this years dessert. Mmm, I love the combination of almond with citrus! 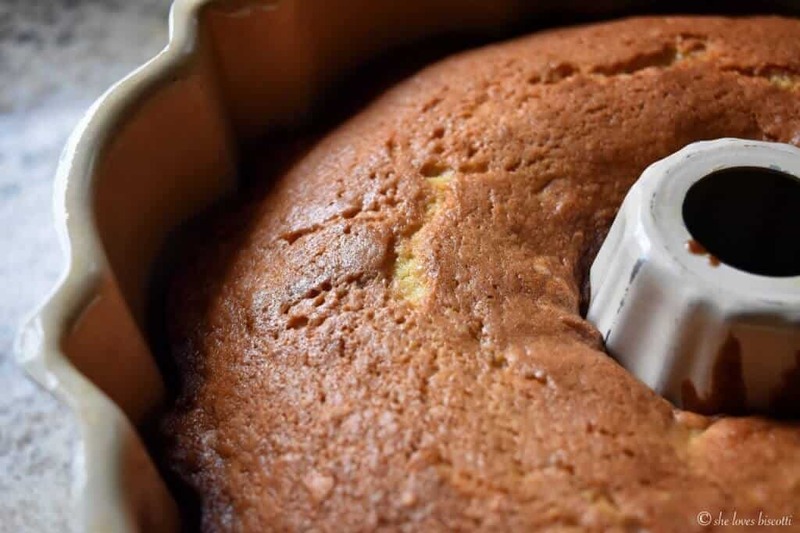 And I rarely use my bundt pan so this cake is the perfect reason to get baking! One of my preferred combinations is almond & orange. I love the adaptations you made to the original recipe. This is just the right cake to have on hand for guests who stop by during the holiday season.